You’ll Need to Do This. What is Entrance Counseling? In July of 2016, the U.S. Department of Education made it a requirement that, in order to have student loans disbursed, all students must complete Direct Loan Entrance Counseling. This counseling includes information needed to successfully repay the federal student loans they will be receiving to help pay for college costs. You can get more information here. If you have not previously received a Direct Loan or Federal Family Education Loan (FFEL), the federal government requires you to complete entrance counseling to ensure that you understand the responsibilities and obligations you are assuming. You must complete entrance counseling before you can receive the proceeds of your first Direct Loan. If you are completing entrance counseling to borrow as an undergraduate student, then the entrance counseling will fulfill counseling requirements for Direct Subsidized Loans and Direct Unsubsidized Loans. If you are completing entrance counseling to borrow a loan as a graduate or professional student, the entrance counseling will fulfill counseling requirements for Direct Unsubsidized Loans and Direct PLUS loans. Who should complete entrance counseling? Federal law requires entrance counseling for students who have not previously received a subsidized or unsubsidized loan or PLUS loan (graduate/professional students only) under the Direct Loan Program or Federal Family Education Loan (FFEL) Program. What information do I need to complete entrance counseling? the name of your school and the tuition, fees, and other charges you will be paying this year. You can find this information on your student account at your school. Your school’s student accounts office (often called the bursar’s office) can provide you with a paper copy of your student account or tell you how to view it online. details on your income, financial aid, and living expenses. How does one complete entrance counseling? You must complete the Direct Loan Entrance Counseling online. Your school may have alternate entrance counseling requirements. Check with your school’s financial aid office to be sure that the counseling available on this website satisfies its requirements for entrance counseling. For additional information by school, click here. 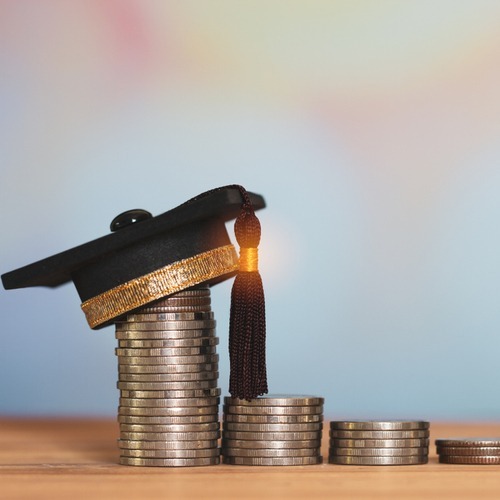 Michelle Balaun2019-04-15T11:57:13+00:00Comments Off on First Time Student Loan Borrower?